Everything gets a little crazy when the holidays roll around, and though we spend our workdays surreptitiously browsing aspirational standing rib roast recipes and fantasizing about cookies, that usually means we wind up hitting the drive-thru on a fairly regular basis. 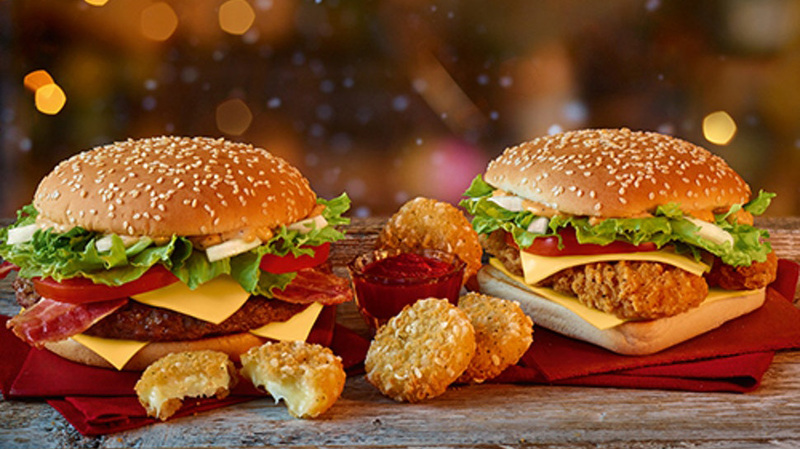 McDonald’s knows this, and they want to help us celebrate in spite of our packed schedules by offering a special festive menu that will take the sting out of those frantic fast-food feasts. Their festive menu features just the sorts of hearty foods you need to help fuel you through midnight present-wrapping sessions and stressful family gatherings. 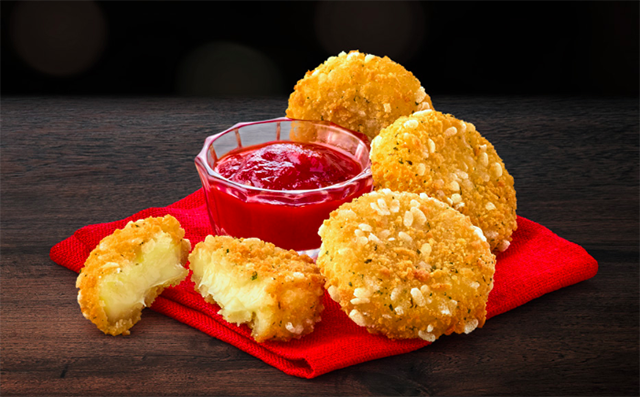 First up is an appetizer called Cheese Melt Dippers, crispy breaded rounds of Camembert served with tangy tomato dip. Then, your entrée. 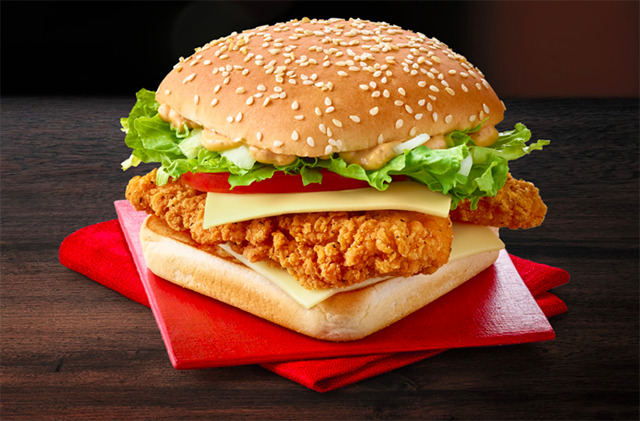 Choose from a chicken Big Tasty (a fried chicken sandwich on a square bun), a classic Big Tasty, or a Big Tasty with bacon for your main meal. Of course, since it’s the holiday season, you can forget about dessert. 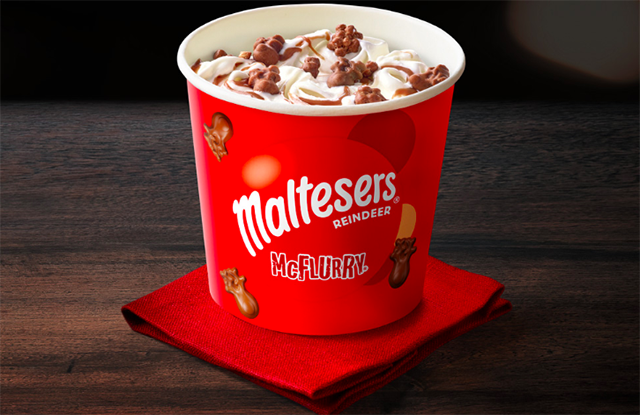 The Maltesers Reindeer McFlurry will hit the spot for sure. It may not be beef Wellington and Christmas pudding, but it’ll do! So, you might have noticed most of these items don’t sound very familiar to those of us living in the U.S. of A. That’s because, tragically, the festive menu is only available to our good friends across the pond in Great Britain. Drat! We’re not saying you should start hounding McDonald’s on all social media channels to throw us a dang bone with our own special holiday menu… but we’re also not not saying it. Even if it means you’ll get coal in your stocking, wouldn’t it be worth it for even just a taste of a Cheese Melt Dipper? Yeah, we thought so.